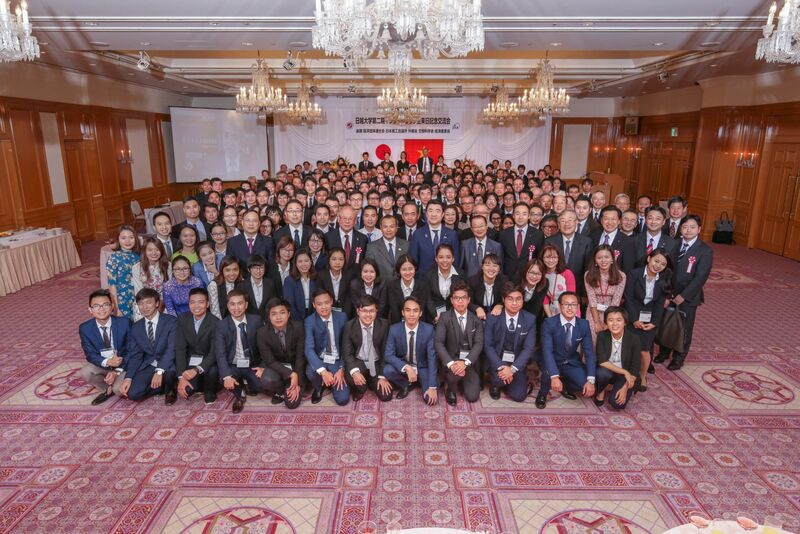 The internship program 2018 in Japan of Vietnam - Japan University (VJU) brings a lot of opportunities for VJU students for further career and continuing studying in Japan. 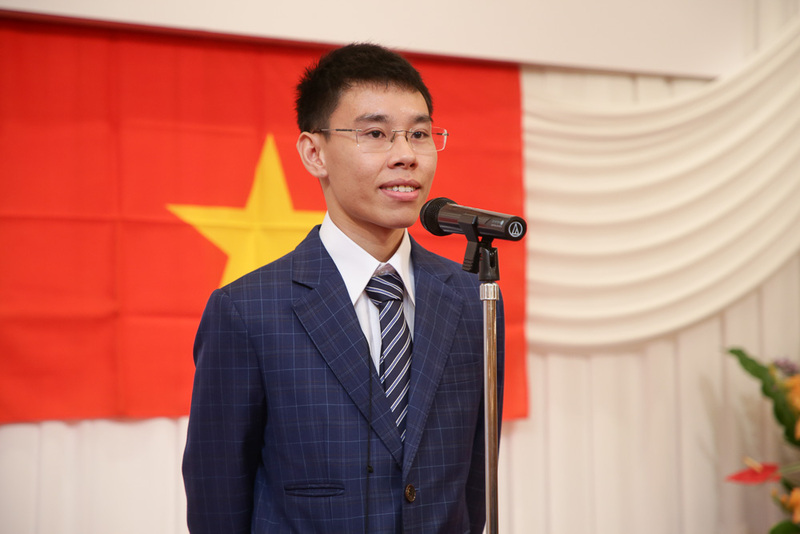 Vietnam-Japan University is the first university in Vietnam currently offering a wide range of programs, such as research internship at internship activities at reputable universities and internship programs at enterprises in Japan. 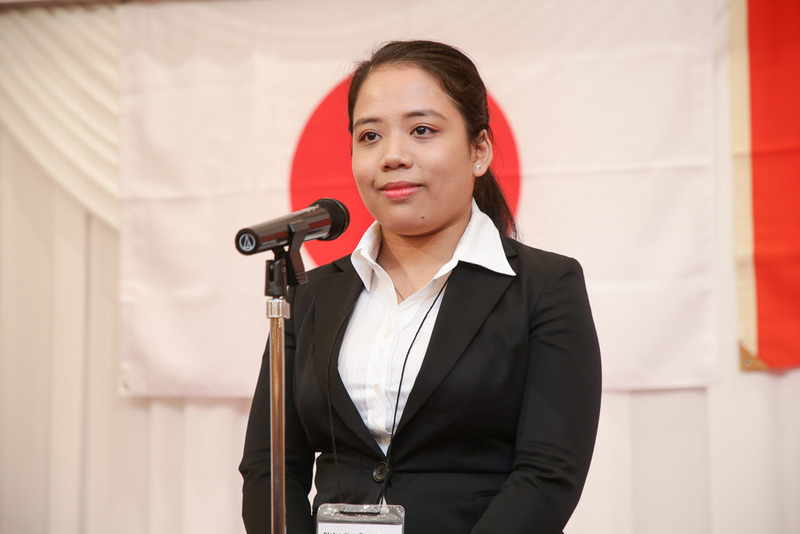 Continuing its first internship program in Japan in 2017 1st intake students, this year, with support from JICA (Japan International Cooperation Agency) and KEIDANREN (Japan Business Federation), Japan Chamber of Commerce and Industry, Ministry of Foreign Affairs of Japan, Ministry of Education, Culture, Sports, Science and Technology (MEXT) and Ministry of Economy, Trade and Industry (METI), 2nd intake students had a meeting with Japanese enterprises to enhance friendship between Vietnam and Japan and exchange with people in many different fields in Japan. 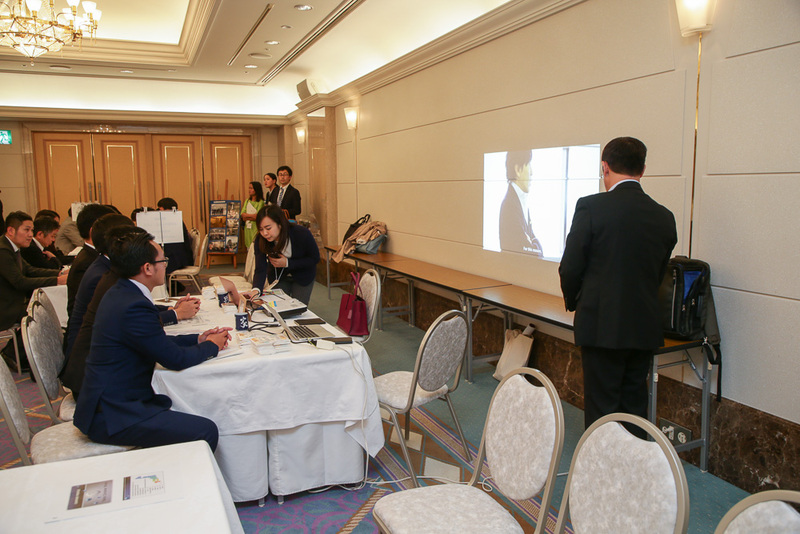 Attending the meeting were about 150 invited politicians, business organizations, leading enterprises of Japan and students of the second intake of the Vietnam Japan University. At the meeting, Vice Chairman of the Japan-Vietnam Friendship Parliamentary Alliance Mr. Kawamura Takeo, Deputy Chief Cabinet Secretary - Mr. Nogami Kotaro, Special Advisor to the Japan-Vietnam Friendship Parliamentary, Mr. Takebe Tsutomu, Ambassador Extraordinary and Plenipotentiary of Vietnam in Japan - Mr. Vo Hong Nam, JICA Executive Senior Vice President Mr Koshikawa Kazuhiko - who always accompanies the development of Vietnam-Japan University - attended, met and talked with students who are currently practicing in Japan in the Internship Program 2018. All the guests expressed their great expectations of the potential of the program for students’ studying and research activities. 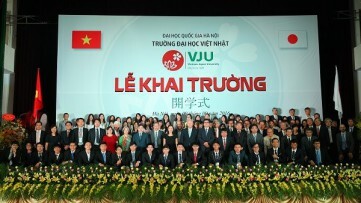 It is expected that Vietnam-Japan University will become one in the top talent training, training and research universities in Vietnam. The meeting also marked the proud step of the alumni of the first intake. 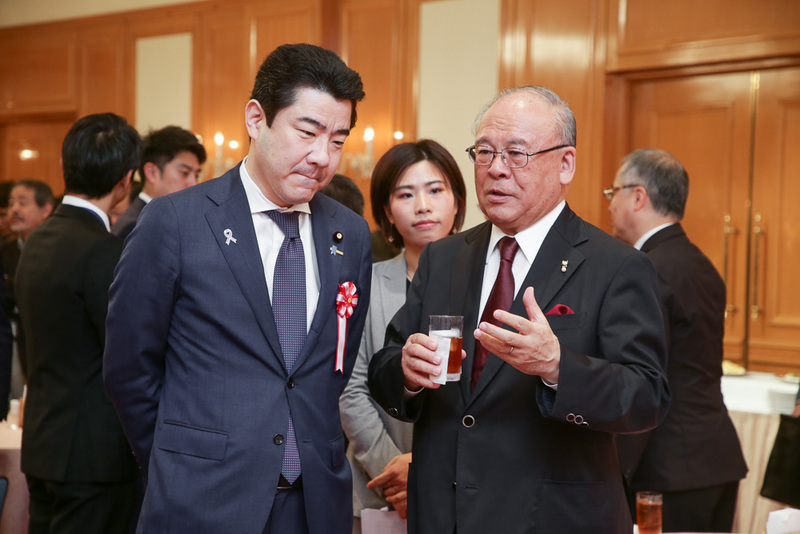 Many alumni continue to be awarded scholarship for continuing their phD at the prestigious Japanese universities, many alumni are currently working for corporations and companies in Japan. 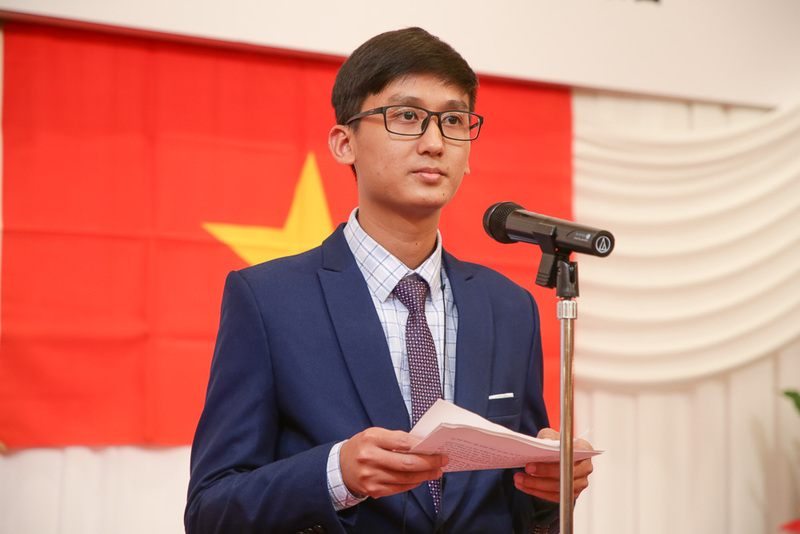 Nguyen Sy Cuong, a alumnus of the Master Program in Infrastructure Engineering and Dinh Thi To Uyen, a alumnus of the Master Program in Environmental Engineering, are the representatives of the VJU 1st intake at the meeting. 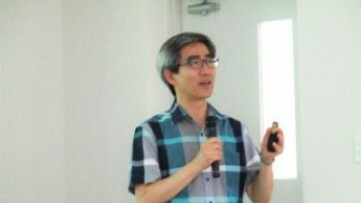 Nguyen Sy Cuong is currently working at Juntos Co. Ltd (Japan) and To Uyen is awarded PhD at Ritsumeikan University. 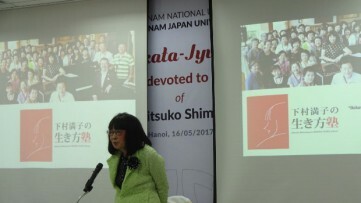 During the 2-year master's degree program of Vietnam-Japan University, the majority of students are provided internships at leading universities in Japan such as Tokyo University, University Osaka, Tsukuba University, Ritsumeikan University. This one-to-four-month internship is a great opportunity for students to have access to advanced study and research international environments and to observe the Japanese social life and experience. 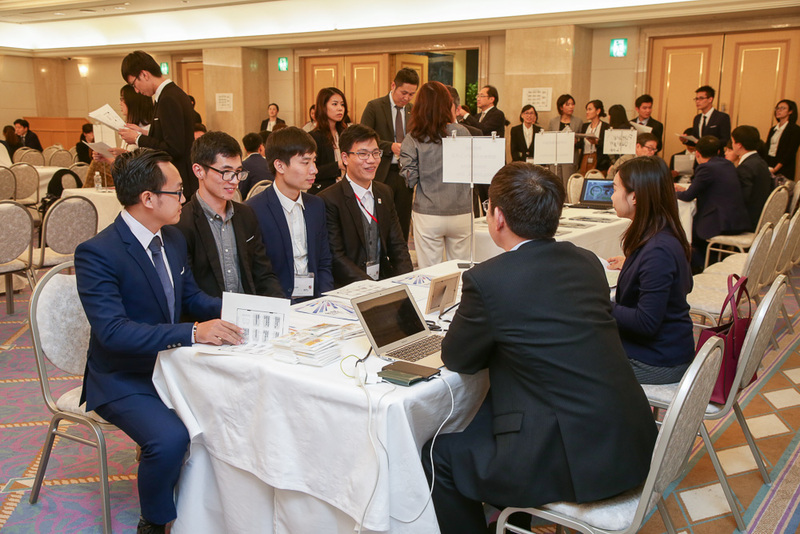 In the meeting, more than 10 leading companies in the fields of finance, banking, manufacturing and construction of Japan (such as INOAC Coorporation, SEKISHO Coorporation, JUNTOS Co.,Ltd, Shinken Ad, Tokyo Electron Ltd, Yoshinoya Holdings., Ltd, Nidec Coorporation,...)met the students in person to exchange opportunities in the future. 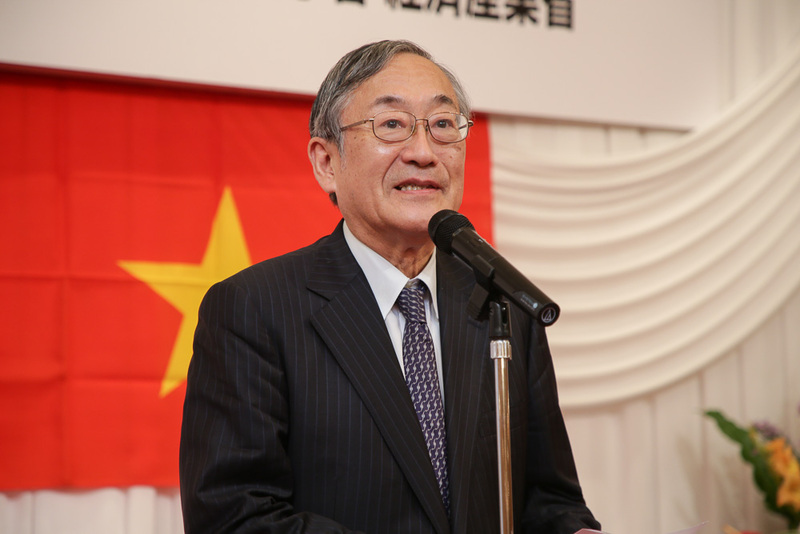 Internship Program is an important step, creates the foundation for further study at doctoral level, or for recruitment into Japanese companies.